When I am working on a project, I start with a measuring device to get my layout correct and then I can all but put the ruler away. 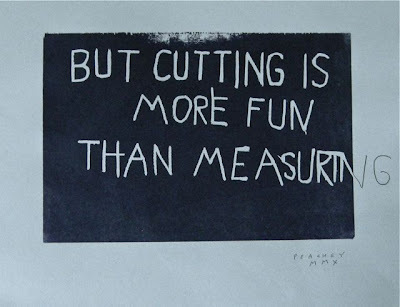 I find it much more accurate to mark my cut pieces with the corresponding piece. 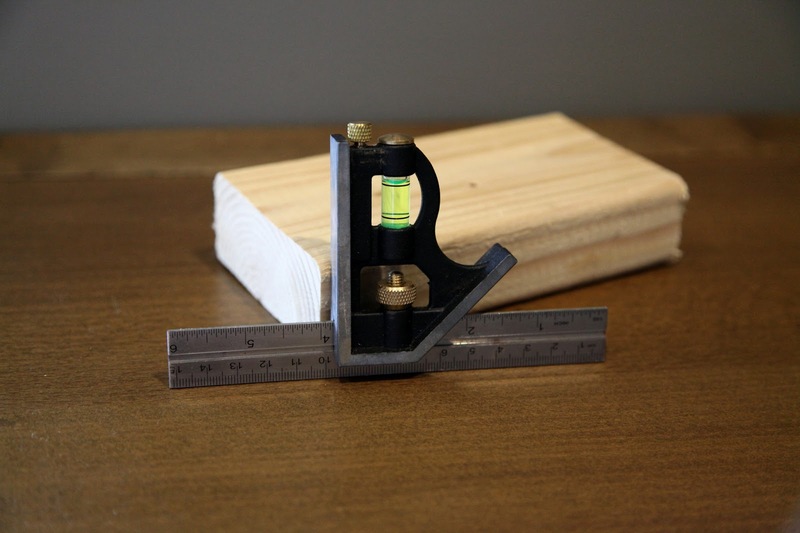 Instead of pulling out the ruler, I either clamp a piece in place or hold it tight and mark where my cuts should be based on the other pieces, and then fine tune the cut if necessary (sometimes this method results in the piece fitting "too perfectly"). I find this to be monumentally more accurate and provides much tighter joints. If it is too difficult to bring one piece to another, as is the often the situation with large casework or trim work, I use a story stick. 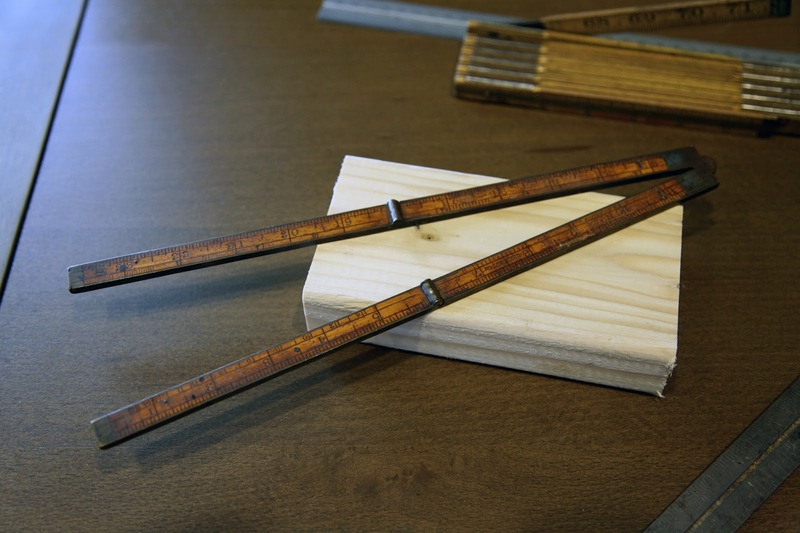 A story stick is basically a piece of scrap wood used to make precise measurements with a pencil rather than numbers. The direct measurement is taken by marking the distance directly on the stick rather than using a measuring tape. Story sticks are also good for making many measurements at once, which helps when I'm running trim on the second floor and the saw is outside in the driveway. At this stage, I find the only other measuring tool I use frequently is a good square (of which I own more than any man probably should). I can also use an adjustable (combination) square to measure the depth of mortises or hard to reach areas. The numbers on the square become irrelevant because I can lock the sliding arm to the precise depth and then repeat the mark on the piece to be cut. I plan to have some posts dedicated directly to this miracle of the engineering world, as there are tons of good tricks to be had using a square. When I am actually using measurements (numbers) to lay something out, I find a couple of hints to be extremely useful. One that seems fairly obvious to me now, but didn't when I was starting out, is to use the same measuring tool throughout a project. 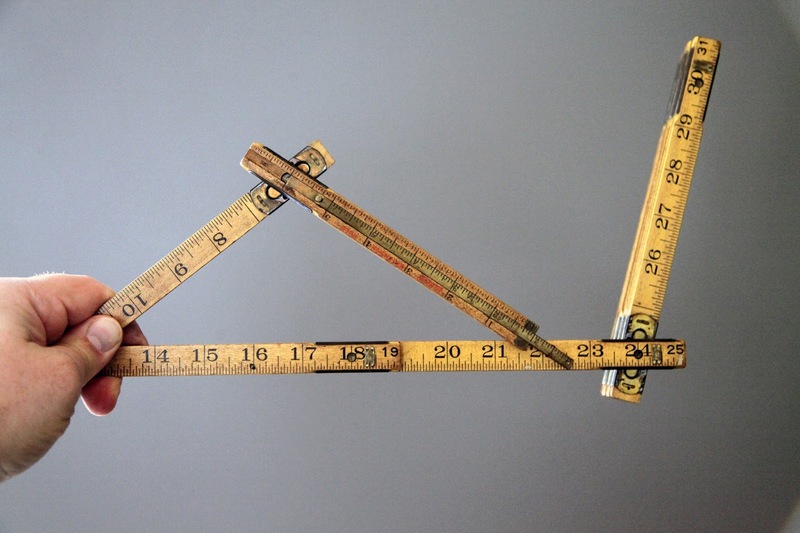 Unfortunately, not all measuring devices are created equal. Some are accurate to within nano-meters while others seem to have been laid out based on some alien system of measurement. I have noticed that even two tape measures made by the same manufacturer (ahem...cough...Stanley!) differed by almost an eighth of an inch at two feet. By using the same measuring tool for the project, at least all the errors will be the same errors. On the note of tape measures, it also took me a long time (I never said I was the quickest on the uptake) to realize that the same tape measure can give you two different measurements based on whether you are pushing or pulling on the end hook (inside versus outside dimensions). 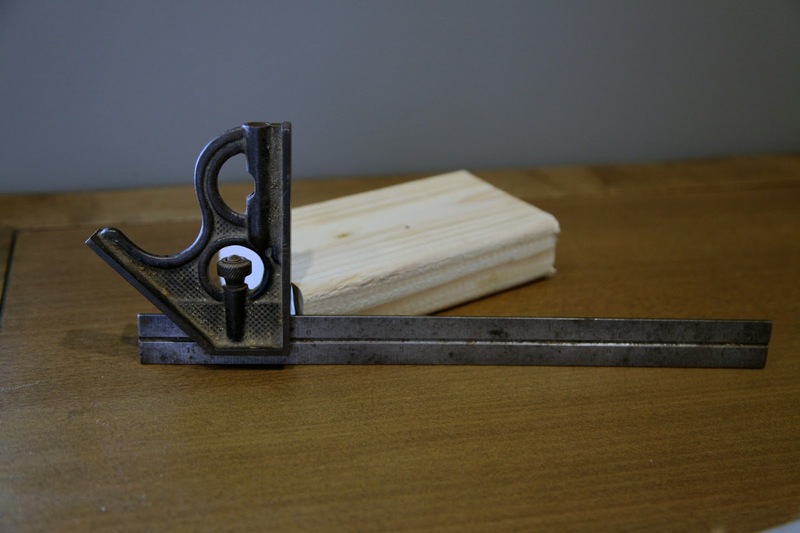 The hook is supposed to move to accommodate for the thickness of its own metal, but again the accuracy of that movement often leaves a lot to be desired and in a well used tape this movement can vary quite a bit. In the instances where this matters I'll either burn an inch (start my measurements at 1" rather than at the hook) or I'll get out another measuring device. 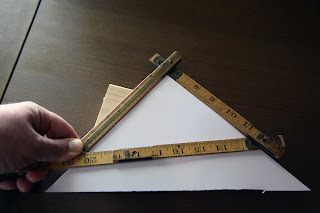 Often, my first choice for measuring on woodworking projects is the tried and true measuring stick, or folding rule. These can be a little tricky to use because they don't flex as much as a tape, but with a little practice they are worth their weight in gold for accuracy. My first folding rule was an old brass and boxwood one marked "Upson Nut Co." given to me by an uncle, and I remember laughing a little because it seemed so old fashioned and quaint. Now, however, I use it... a lot. Since then I have gathered several folding rules including one of my favorites, a six foot Lufkin with brass ends and a 6" brass extension. Folding rules have hundreds of uses, including measuring and marking angles. I don't remember where I learned this trick but it has proven useful on several accounts. Some folding rules are even marked with degrees right on them, others I just use to repeat angles and mark them on corresponding pieces. To do this, use the first and second sections to find the angle, then use the third section to measure the distance to the edge of the first section and viola! Now you can repeat that angle on your piece to be marked (photos below). The rules with degrees marked on them will actually tell you what the corresponding angle is in degrees (Hooray for knowledge!). 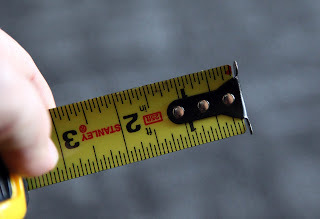 As long as you don't have a habit of putting these in your back pocket and then sitting down, these rulers will last an extremely long time. Some carpenters pants manufacturers actually still continue the tradition of a long narrow pocket down one leg used to hold a folding rule. Additionally, I wax mine occasionally which helps with sticky joints (as does a little graphite) and protects the face from mild abuse. Steel rules also have a home in my shop. 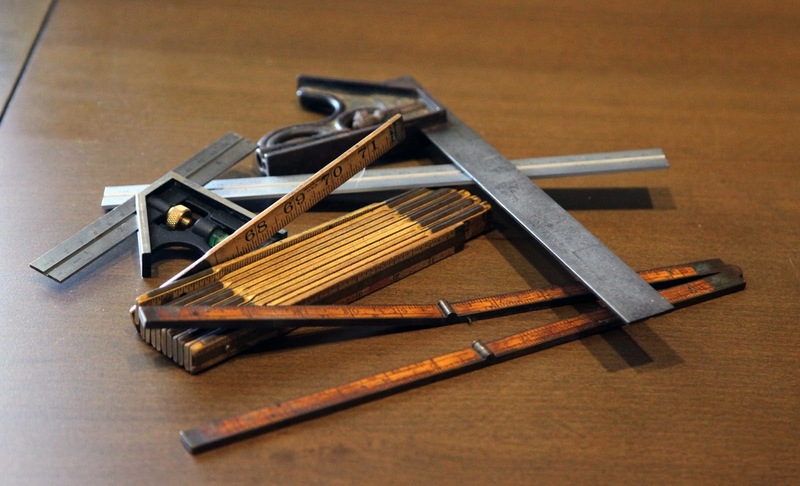 They are great when I am attempting machine work but they work equally well on woodworking projects. While I have several, I find myself using a Starrett I bought on eBay the most often. It has inches marked 32nds and 64ths (one on each side) and mm and 1/2mm (one on each side). 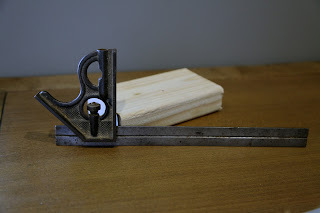 This works very well for some of the German power tools I own (think metric) and provides extremely small units of measure for when that degree of measurement is needed (usually when I'm setting up/fettling a handplane). There are hundreds of thousands of measuring tools out there, and I have barely scratched the surface of the ones I own (calipers, dividers, and others will get their own write-up). Anyone who makes the mistake of asking me about getting started in woodworking knows that my first recommendation is good work-holding (lots of clamps) and the second is a decent measuring device that you are comfortable using (the next is to buy lots and lots of tools, whether you need them or not!). 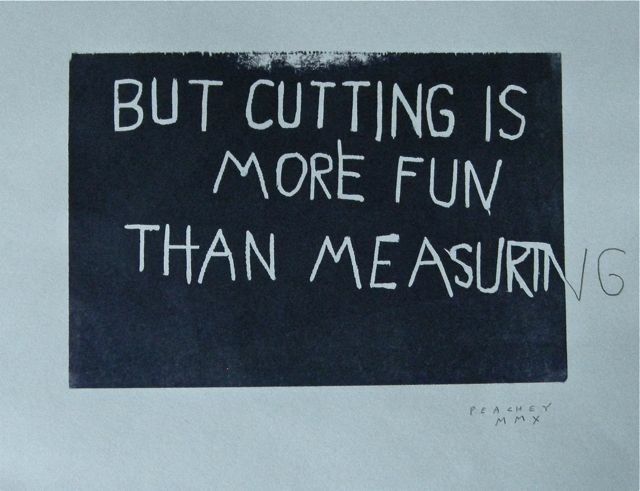 Most importantly, remember that you can measure a million times, but you'll just be wasting lumber unless you measure correctly!